This is the first all-inclusive guidebook for designing, building, and implementing a sturdy core valuation/projection model. In today's no-room-for-error corporate finance market, precise and effective financial modeling is essential for both determining a company's current value and projecting its future performance. Yet few books have explained how to build models that accurately interpret a company's financial statement, while none have focused on projection models. "Building Financial Models" fills this gap.The first book to detail a step-by-step process for first creating a simple, standardized projection/valuation model, and then customizing it for specific situations, this hands-on book: provides in-depth explanations of the mechanics as well as the underlying and accounting principles of projection models; outlines how to design and implement a projection model that allows the user to change inputs quickly for sensitivity testing; and, comprises a concise yet comprehensive tutorial on the use of Excel, as well as other spreadsheet programs, to build a dynamic financial model.The ability to create and understand projection models is fast becoming one of the most highly prized skills in finance. Let "Building Financial Models" lead you through the model development process, and provide you with the know-how you need to create and implement a flexible, user-friendly, and results-driven financial projection model. 'The ability to create and understand financial models is one of the most valued skills in investment banking and other finance fields today. This book will lead you through the development process for a projection model. 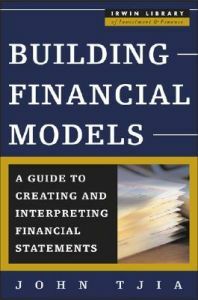 By the end of the book, you will have the satisfaction of having built your own model, to which you can then add your personal changes and modifications' - From the Introduction.A well-designed financial projection model can be invaluable for providing estimates of an organization's future financial condition given certain performance assumptions. In addition, that same model can reveal what needs to happen in order for a particular performance goal to be reached within a stated time frame. "Building Financial Models" shows you how to create a functional, dynamic spreadsheet financial model that will allow you to create and refine projections for industrial and manufacturing organizations.Leading you step-by-step through the development and implementation process, this first-of-its-kind book provides: an overview of projection models - what they are, how they are used, and how they differ between industries; exploration of the accounting and finance concepts that underpin working financial models; basic model design principles, along with detailed directions for using spreadsheet software to put those principles into practice; detailed directives for using this new knowledge to build and refine a working financial model; and, more than 100 charts and screen shots to illustrate each step in the development and implementation process. A flexible and robust financial projection model does more than just add numbers; it explains the complex relationships between those numbers as well as provides ways to examine, interpret, and use those relationships to add value to an enterprise. "Building Financial Models" is today's only easy-to-follow, self-contained course on the creation and implementation of a customizable, state-of-the-art financial projection model. John S. Tjia is a founding partner in TMG Associates, LLC, a consulting firm with investment and commercial banking clients that specializes in financial modeling for corporate finance. Tjia is the former vice president in charge of the Models Group at JPMorgan Chase, and led the team that was responsible for designing and developing several generations of the analysis and execution models used by the firm's investment banking division worldwide. He has also taught modeling and valuation classes to hundreds of analysts and associates.